Part family-style cruiser, part rugged off-roader, the 2019 Jeep Cherokee is equally comfortable on crowded city streets and your favorite mountain trail. Why Buy the 2019 Jeep Cherokee? This small SUV is the perfect option for both family-friendly comfort and rugged adventures. This Jeep delivers best-in-class towing capabilities. The Cherokee also takes you further into off-road territory, thanks to its optional all-wheel-drive technology and options like the locking rear differential. 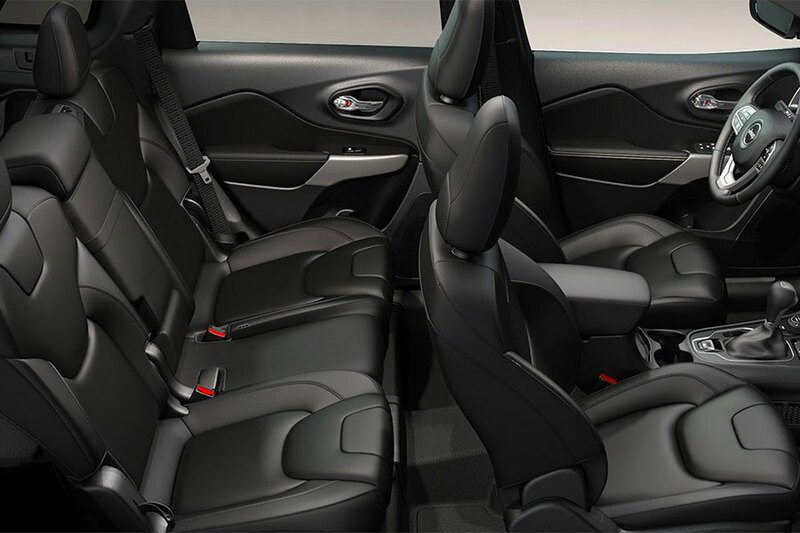 Inside, you’ll find spacious, supportive seating, perfect for hours of on-road comfort. The cabin is as luxurious as you care to make it, with features like leather upholstery and heated front seats available for a luxurious ride to work. Which 2019 Jeep Cherokee Should I Buy? The entry-level Latitude gives you the best deal on the Cherokee’s family-friendly comfort and modern utility features. Like its fellow Cherokees, the Latitude is available with all-wheel drive, so you can travel over soft surfaces with maximum control. This small SUV is big on comfort, with a roomy cabin and nicely contoured seats. 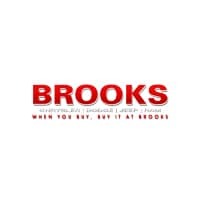 Conveniences, such as the 60/40-split folding rear seatbacks and the storage compartment inside the front passenger seat cushion, make it easy to store precious cargo. The Latitude is also packed with tech features, including a USB port to keep devices charged. The rearview camera provides excellent visibility, so you can glimpse your rear three-quarter blind spot and check for obstacles before backing out of a parking space. This year, the Latitude comes standard with Apple CarPlay and Android Auto capabilities. This technology keeps you connected, but does so in a way that keeps you from looking down at your smartphone. Now you can use apps, such as your phone, messages, and maps apps, via the central touchscreen. You can even use your phones Google or Siri voice controls – just push a button on the steering wheel. Of course, the other 2019 Jeep Cherokee trims also have a lot to offer. After the Latitude, the Latitude Plus is the next trim up. This Jeep adds a bit of luxury to your daily drive, with leather inserts in the upholstery and a leather-wrapped steering wheel. This trim also supplies keyless ignition and entry technology, so there’s no need to dig a key ring up from the depths of your bag. The Limited adds high-tech safety gear, such as blind-spot monitoring and rear parking sensors, helping you avoid careless mistakes. This model also keeps you cozy in cold weather, via heated front seats and a heated steering wheel. The top-trim Overland is the right choice for drivers who crave luxury. This Cherokee wraps you in comfort, with upgraded leather upholstery and extra soundproofing for a quiet ride. 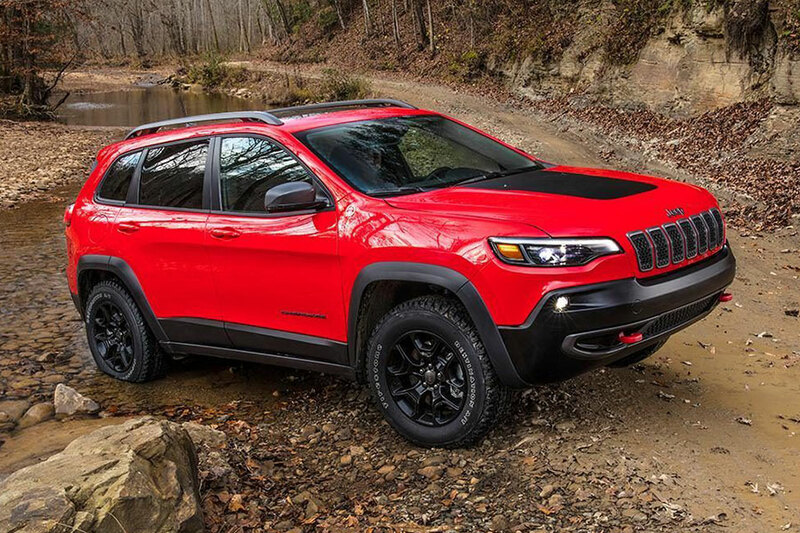 Finally, the off-road-ready Cherokee Trailhawk comes with everything you need to venture deep into the mountains, including increase ground clearance and all-terrain tires. How Much Can the 2019 Jeep Cherokee Tow? Properly equipped, the new Cherokee can tow best-in-class loads of 4,500 pounds. If you’ve got hefty toys at home – like a medium-size boat or a pair of four-wheelers – this is the small SUV for you. For maximum utility, choose the V6 engine and add the Trailer Tow package. This bundle includes everything you need to tow heavy loads, including a Class III hitch and a trailer wiring harness for both four- and seven-pin systems. If your Cherokee is equipped with the V6 engine, this package also includes extra engine cooling components to maximize performance. Can the 2019 Jeep Cherokee Travel Off-Road? Yes! In fact, this small SUV offers best-in-class off-roading capabilities. All trim models offer optional all-wheel drive to increase traction on slippery surfaces, ensuring greater driver control. To really venture into rugged territory, add Jeep’s Active Drive II all-wheel-drive system. It’s designed to give you greater control on difficult terrain. This technology comes standard on the Cherokee Trailhawk, and it’s available as an option for the Latitude Plus, Limited, and Overland trims.